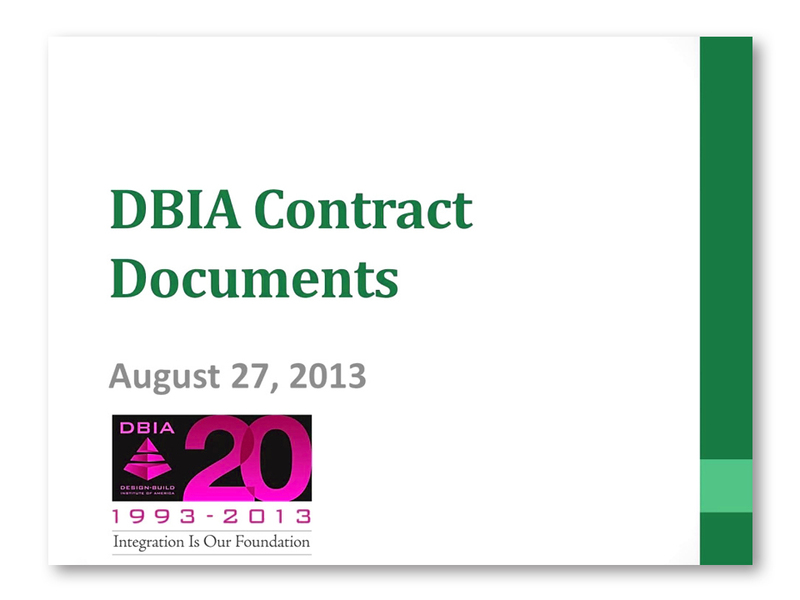 DBIA contract documents are the cornerstone of successful design-build projects. See samples of some our offerings below and then go to our bookstore to purchase. DBIA members receive a 50% discount on all our contract documents. 1. Go to the Members Only Resources page. 2. Sign in to your DBIA account. 3. Find the coupon codes for contracts and books in the upper right corner of the page. Use those Members Only codes when making purchases in the DBIA Bookstore. Following are samples of some of the Early Forms available in the DBIA Library. Learn how to properly use DBIA Contract documents in a webinar hosted by DBIA’s G. William Quatman, Esq., FAIA, DBIA. This webinar is approved for continuing education credit with both DBIA and AIA. 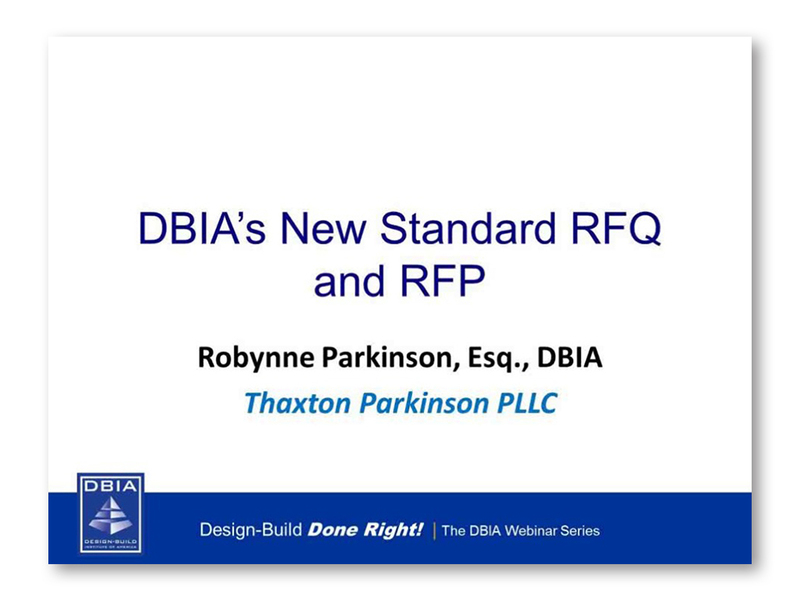 Robynne Parkinson, JD, DBIA walks you through the form RFQ, RFP and the accompanying guide to highlight the most useful sections for design-build teams. The presentation includes the philosophy behind the documents and tips in both developing a procurement and responding to procurements using these documents. Did you know DBIA members receive substantial discounts on books and contract documents? Become a member and save today!